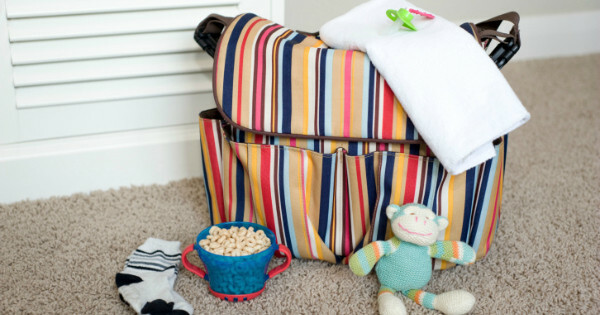 Regardless of whether you have a baby, toddler or preschooler, you are going to need to carry a bag of goodies with you. 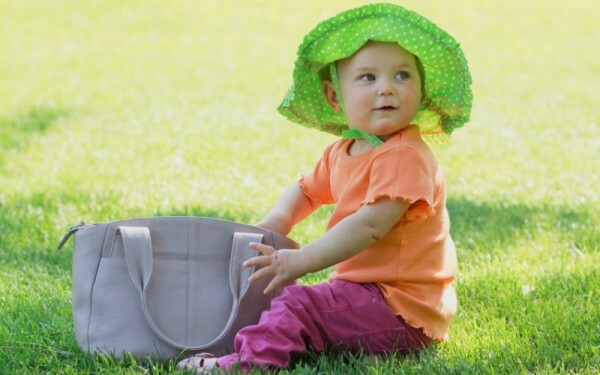 As your baby gets bigger, the size of your bag may get smaller but we are sure most mums will agree that they would be able to pull out at least half of these things from their nappy bags on any given day. So, if you don’t already have these things in your own bag, then you really should. Life will get a whole lot easier with them. Baby wipes are essential, not just for cleaning dirty bottoms, but for pretty much every single thing you can think of. Spilled milk on the pram, chocolate on the face or baby spit dribbling on everything – baby wipes take care of everything. I actually don’t know how I used to live without them. You can’t go past the Aussie owned brand, Red Nose Baby Wipes, which are not only soft, thick and gentle, but tough enough to get the job done. They come out of the pack one at a time, which is especially convenient when you are trying to drive with one hand and wash the yoghurt off the back of the car seat with the other, and they stay moist right to the end. Have enough for the entire tribe, including yourself. Simply roll the items into little balls and secure with elastics. You never know when you will be out for the day and your child will spill tomato sauce all over your shirt. Also include nappies for little ones and undies for older kids, just in case. Having a spare change of clothes means it’s okay if the kids find a muddy puddle, or get wet at the playground or have an accident. Simply wipe away the mess with Baby Wipes, unroll the clothes and you’re good to go. Sunnies are especially great to hide behind after a sleepless night… or ten. But they tend to also be a crowd pleaser with babies too. Bandaids are essential for any mum. Baby wipes can wash away the blood but you will probably need a Bandaid to cover the damage after a fall at the park or a tumble at the pool. They also make excellent ‘stickers’ if you are stuck somewhere with the kids and they are bored. Preferably something that won’t spill all over your bag but also something that won’t melt or go off. I think I have a few crunched up muesli bars, a packet of sultanas and possibly a packet of biscuits hiding in one of the compartments of my bag. They tend to work well. When you are out and the kids are misbehaving, dip into the ‘lolly bag’ compartment. This is for emergencies only, like waiting at the doctor or in a long line. Add balloons, lollipops, mini crayons, stickers and even those ultra annoying blower-things. It will keep them happily entertained while you get the errands done. Great for jotting down things you don’t want to forget, but also for letting your little one scribble on. You can also use your phone notepad section for this if you prefer to go electronic. Plus, phones tend to be a crowd favourite with babies, preschoolers and beyond. One real set. One set for your child to play with. And one back-up set just in case you get the first two mixed up and the real set ends up left in the sandpit at the park. To hold the wet clothes, dirty nappies and leftover food from your outing. Because nothing is more frustrating than arriving at an indoor play centre without them. It’s either pay for a new pair or dip into the borrowed sock bin which never ends well. Of course, most parents will admit that there are a few more essentials that belong in your nappy bag depending on the age and stage of your little one. However, one thing is for sure – you really cannot leave home without baby wipes. 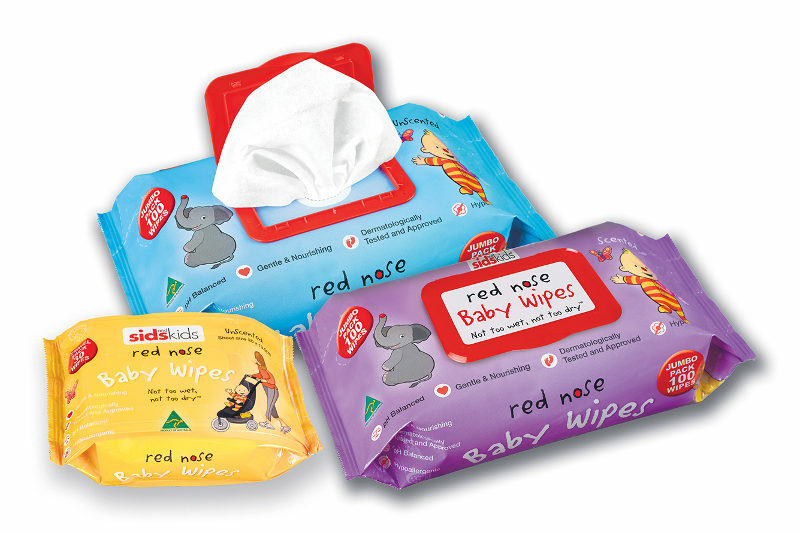 Red Nose Baby Wipes come unscented or lightly scented in a variety of different pack sizes, from 30s to leave in the side pocket of the car, to 900s for the nursery change table. The 100s are the perfect addition to any mum’s nappy bag and by making the simple switch to Red Nose Baby Wipes mums can help Aussie Wipes reach their goal of raising $1 million per year for SIDS and Kids, outside of Red Nose Day. Pick up your pack from Aussie Wipes or in store from Chemist Warehouse, Big W and IGA.